Cohesity's DataPlatform tackles unstructured data through SpanFS, which manages file and object storage and expands the vendor's converged secondary storage platform. Cohesity is expanding its secondary storage reach, with a greater focus on file and object data. Cohesity enhanced file and object support in its latest SpanFS file system that powers the Cohesity DataPlatform for physical and virtual appliances. SpanFS manages data stored in on-premises appliances and in the public cloud. "We're stepping out from just providing backup," said Patrick Rogers, vice president of product management at Cohesity, based in San Jose, Calif. The converged secondary storage startup last year officially added support for file and object storage as new features in the 4.0 version of the Cohesity DataPlatform and Cohesity DataProtect applications. Cohesity now is making SpanFS generally available, allowing its DataPlatform to serve as a repository for NFS and SMB file storage and Simple Storage Service-based object storage. "This refers to the increased integration of file and object stores that tie secondary storage together," said Steven Hill, senior analyst of storage technologies at 451 Research. "Cohesity originally focused on the data protection market, but they recognize the need for a better model for handling unstructured data." Cohesity launched its converged data protection appliance in 2015 with the goal of handling all secondary storage, such as backup, archiving, analytics and copy data. The original version focused on virtual and database backups, but Cohesity added support for physical servers in 2016. Now, the company aims to compete with scale-out NAS and object storage vendors with a single platform that balances data protection with a holistic storage model for unstructured data. Cohesity originally focused on the data protection market, but they recognize the need for a better model for handling unstructured data. "This is easier said than done," Hill said. "File systems are fundamentally different than object stores, so seamlessly bridging the differences between them to accommodate version management and legacy application connectivity for files, metadata-based research and multi-cloud management for objects in one platform is quite an accomplishment for a scale-out system." Cohesity DataPlatform manages storage across Cohesity storage nodes. SpanFS also handles global deduplication, snapshots and clones for Cohesity DataPlatform, which natively integrates with public clouds to help organizations move data there for archiving, disaster recovery, test and development, and analytics. Cohesity DataPlatform appliances serve as integrated backup boxes, without the need for a media server. "Data protection and backup still makes up a large part of Cohesity's customer base," Hill said. "But it's about moving the file and object data growth challenge beyond traditional backup and recovery toward a more unified approach that offers greater visibility, automation and policy-based management for on premises and in the cloud." Brian Sweeney, principal engineer at Manhattan Associates, based in Atlanta, said his company has four Cohesity C2500 nodes deployed for backup after going through a selection process to move away from Veritas NetBackup. Sweeney said the supply chain company needed a new backup product for VMware, but also something to support file services. "When we looked at NetBackup with the VMware add-on, it was clunky," he said. "Cohesity was a much more elegant solution. It's so easy, my 9-year-old can set it up. "Another thing we needed was an archiving option for old virtual machines. Instead of putting them on tier-one storage, now we can put them on Cohesity, and they are available when we need them." 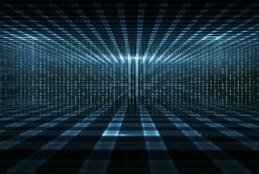 Manhattan Associates is testing out Amazon Simple Storage Service object storage, which makes Cohesity more attractive, Sweeney said. What other storage features would you like to see Cohesity add to its DataPlatform? When converged secondary storage was added to hyper-convergence products, a new market sector was created that reduced the complexity of managing data retention systems. Secondary storage vendors have been offering converged technologies and products for a few years now, and the systems have become more feature-rich and cloud-capable. Using converged infrastructure for the secondary storage in your data protection plan can be valuable, but you need to weigh the benefits and drawbacks before choosing that path.